Dreamer is made from a mottled purple material with black button eyes and a larger black button nose. He wears a multicoloured ribbon tied around his neck and a Beanie Baby of the Month badge on his chest. In hopes that they will all come true! Dreamer was released on 1st January 2003. 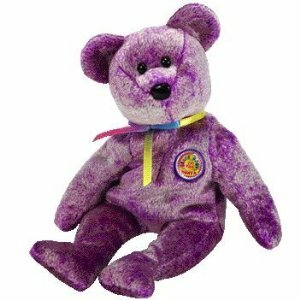 He was the Beanie Baby of the Month for March 2003. He was retired on 1st April 2003.